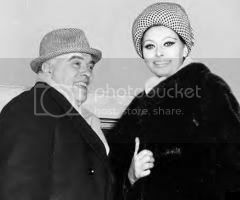 ROME, Italy -- Italian producer Carlo Ponti, husband of Sophia Loren, died on Wednesday, January 10 in a hospital in Switzerland, his family announced. Ponti had been hospitalized about 10 days ago in Geneva for pulmonary complications, the family said in a statement. The cause of death was not immediately known. He was 94. Ponti was born on December 11, 1912 near Milan in Magenta, northern Italy. Ponti studied law at the University of Milan and worked as a lawyer in the city before his move into film production and his meeting with the teenaged Loren. Ponti was married to his first wife, Giuliana Fiastri, when he met Loren, who was almost 25 years younger than he, in about 1950. They tried to keep their relationship a secret in spite of huge media interest, while Ponti's lawyers went to Mexico to obtain a divorce. Ponti and Loren were married by proxy in Mexico in 1957 by two male attorneys who took their place. Loren, then a model and beauty queen, was just 22. The couple only found out about their marriage when the news was broken by society columnist Louella Parsons. But they were unable to beat the stringent Italian divorce laws and the wrath of the Catholic Church. The Italian government did not recognize Ponti's Mexican divorce from his first wife, Giuliana Fiastri, and he was charged with bigamy and Loren with being a concubine. He and Loren had their marriage annulled but continued living together -- a scandal at the time -- and finally Ponti obtained French citizenship in 1964, enabling the couple to remarry two years later. Ponti began producing films in the early 1940s, making his name by co-producing Federico Fellini's "La Strada" with Dino De Laurentis in 1954. He was nominated for an Oscar in 1965 as producer of David Lean's "Doctor Zhivago" in 1965. Ponti worked with well-known directors, including Jean-Luc Godard. 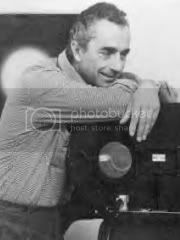 He had more than 140 films to his credit including three dozen with Loren, as well as Michelangelo Antonioni's "Blowup" in 1966. Other well-known films produced by Ponti included "The Cassandra Crossing," "The Verdict" and "The Squeeze." Ponti is survived by wife, Sophia Loren and their two sons, Carlo Ponti, Jr., a former child actor who is now music director of the San Bernardino Symphony and film director Edoardo Ponti. Ponti also leaves behind a son with first wife, Fiastri, film producer Alessandro 'Alex' Ponti.